"For many beginners and veterans, the congregational prayer service is a confusing maze in which they often get lost. 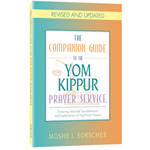 The Companion Guides are a valuable and practical map that makes the High Holiday/Shabbat experience infinitely more meaningful and intelligible. I highly recommend them." For anyone who has ever felt lost during the Shabbat services, this book is the perfect solution! This reader-friendly guide contains extensive introductions, explanations and parables to help demystify Jewish prayer and the synagogue. It also contains transliterations of every important prayer said or sung in unison by the congregation, with page references to the following siddurim: ArtScroll, Birnbaum, Metsudah, Lubavitch and De Sola Pool. Let this guide lead you towards more meaningful prayer in your life! 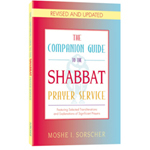 A beginner's guide to the synagogue prayer service featuring parables, essays, selected transliterations and an explanation of significant prayers! 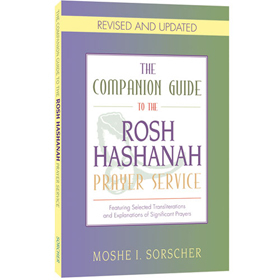 "Having Moshe Sorscher's wonderful guides is like having a special angel as a companion to make the prayer experience more meaningful and spiritual."